The coal fields of West Virginia would seem an unlikely market for big band jazz during the Great Depression. That a prosperous African American audience dominated by those involved with the coal industry was there for jazz tours would seem equally improbable. 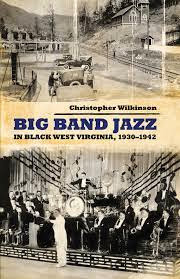 Big Band Jazz in Black West Virginia, 1930-1942 shows that, contrary to expectations, black Mountaineers flocked to dances by the hundreds, in many instances traveling considerable distances to hear bands led by Count Basie, Duke Ellington, Andy Kirk, Jimmie Lunceford, and Chick Webb, among numerous others. Indeed, as one musician who toured the state would recall, "All the bands were goin' to West Virginia." The comparative prosperity of the coal miners, thanks to New Deal industrial policies, was what attracted the bands to the state. This study discusses that prosperity as well as the larger political environment that provided black Mountaineers with a degree of autonomy not experienced further south. Author Christopher Wilkinson demonstrates the importance of radio and the black press both in introducing this music and in keeping black West Virginians up to date with its latest developments. The book explores connections between local entrepreneurs who staged the dances and the national management of the bands that played those engagements. In analyzing black audiences' aesthetic preferences, the author reveals that many black West Virginians preferred dancing to a variety of music, not just jazz. Finally, the book shows bands now associated almost exclusively with jazz were more than willing to satisfy those audience preferences with arrangements in other styles of dance music.